Fiesta Flag Banner for Miniature Gypsy Fairy Gardens. 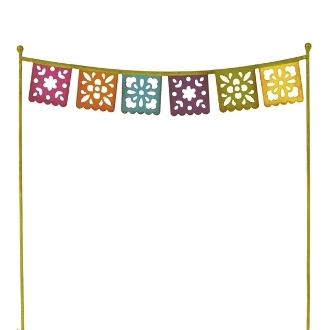 Full Description: No mini garden party is complete without these mini fiesta flags! Made of metal, this piece by Genevieve Gail features all-weather paint and gold accents.